Adderall and Alcohol Abuse: What Happens, and What Are the Side Effects? Adderall and alcohol are two commonly abused drugs. To better understand Adderall and alcohol, let’s examine both drugs in-detail. Adderall is a stimulant used to treat attention-deficit/hyperactivity disorder (ADHD), a brain disorder that makes it difficult for a person to focus or manage impulsive behaviors. It often helps ADHD patients pay attention, stay organized, and improve their listening skills. Additionally, Adderall is sometimes used to treat narcolepsy and other sleep disorders. Adderall consists of two mood-altering stimulants: amphetamine and dextroamphetamine. It affects brain chemicals that impact impulse control and hyperactivity. Also, Adderall is available in instant- and extended-release varieties. In an August 2018 survey published in The American Journal of Psychiatry, researchers estimated that approximately 5 million Americans misused Adderall and other prescription stimulants. Students are among the leading groups of individuals to abuse Adderall. Since Adderall has been shown to improve memory retention, it commonly helps students stay focused as they complete homework and other tedious and lengthy tasks. Post-acute withdrawal syndrome (PAWS) sometimes affects Adderall addicts as well. PAWS symptoms may impact an Adderall addict for months or years after he or she last used the drug but eventually disappear on their own. Alcohol abuse and alcoholism are not interchangeable terms, and it is important to understand the differences between the two. Alcohol abuse refers to the use of alcohol to the point that it causes a person to experience issues at home, work, or school. Over time, alcohol abuse may result in legal and social problems as well. Alcohol Cravings: An individual experiences a strong urge to consume alcohol. Loss of Control: Once an individual starts drinking alcohol, he or she cannot stop. Physical Dependence on Alcohol: An individual feels physically dependent on alcohol; without alcohol in his or her system, this individual also experiences withdrawal symptoms. 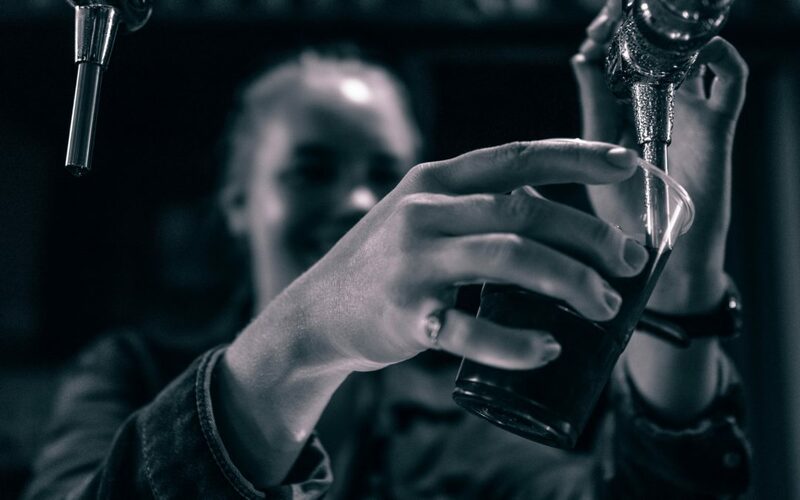 Alcohol Tolerance: After prolonged alcohol dependence, an individual needs to consume excess amounts of alcohol to experience the same effects that he or she felt in the past. Furthermore, alcohol use disorder (AUD) is a chronic health condition used to describe people dealing with uncontrolled and problematic drinking. Recent research from the National Institute on Alcohol Abuse and Alcoholism shows 15.1 million U.S. adults age 18 and older deal with AUD. This research also indicates 623,000 adolescents between the ages of 12 and 17 suffer from AUD. Binge drinking is a problem, too. Men who binge drink consume five or more alcoholic beverages in the span of about four hours or less, while women who binge drink consume four or more alcoholic beverages during the same time frame. Alcohol addiction primarily affects four parts of the body: the brain, heart, liver, and pancreas. Prolonged alcohol use can damage the brain’s communication pathways, affect a person’s motor skills, and lead to long-term emotional response and memory issues. It also increases a person’s risk of suffering an irregular heartbeat, stroke, and sudden cardiac death. Alcohol addiction puts a person in danger of suffering from fatty liver, a chronic health condition that may lead to liver failure and type 2 diabetes. It even raises the risk that a person will experience pancreatitis and pancreatic cancer. There is no shortage of alcohol addiction treatment options. However, some alcohol addiction treatments fail to properly account for alcohol withdrawal – something that can life-threating. Alcohol withdrawal symptoms sometimes begin just hours after a person consumes his or her last drink. They may range from mild symptoms such as anxiety or shakiness to severe symptoms like delirium and seizures. Ultimately, the best way to treat alcohol addiction and its associated withdrawal symptoms is in a supervised setting backed by expert medical professionals. If an alcohol addict is detoxing in a safe, comfortable setting staffed by highly trained medical personnel, he or she may be better equipped than ever before to manage the effects of alcohol withdrawal. What Happens If Adderall and Alcohol Are Taken Together? Using Adderall or alcohol on their own can be dangerous, and mixing the two drugs together often proves to be a recipe for disaster. Alcohol Poisoning: In some instances, Adderall helps a person numb the effects of consuming excess amounts of alcohol. This may lead a person to drink too much, increasing his or her risk of alcohol poisoning. Heart Issues: The combination of Adderall and alcohol has been shown to raise a person’s body temperature, heart rate, and blood pressure. It may lead to an irregular heart rate, too. Behavioral Problems: People who consume Adderall and alcohol together may be more prone to aggressive behavior and other behavioral issues. If you or someone you know is simultaneously abusing Adderall and alcohol, ibogaine therapy from Clear Sky Recovery is available. We offer ibogaine therapy for Adderall, alcohol, and other drugs, and all of our treatment programs are tailored specifically to a patient’s needs. How Does Ibogaine Therapy for Adderall and Alcohol Addiction Work? Ibogaine therapy is a cutting-edge addiction treatment that varies from patient to patient. It induces an oneirophrenic (dreamlike) state and helps “reset” the body to its pre-addicted state. Plus, ibogaine therapy helps patients reduce their cravings for stimulants and alcohol and alleviate their withdrawal symptoms. And once a patient completes an ibogaine therapy program, he or she leaves a treatment center with an aftercare plan to help manage potential challenges throughout the recovery cycle. Clear Sky Recovery offers a medically-based and clinically-managed ibogaine treatment program to treat Adderall, alcohol, and other drug addictions. To find out more about our ibogaine therapy options, please contact us today at 305.901.5371.